Plastics recycling will be boosted by the announcement of the UK Plastics Pact, according to The Recycling Association. Led by WRAP, the UK Plastics Pact has been developed by 42 major food and drink manufacturers and retailers and 15 other organisations including The Recycling Association. 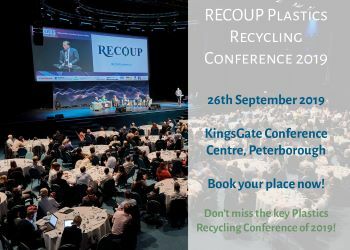 The Recycling Association chief executive Simon Ellin said: “The UK Plastics Pact has the potential to transform plastics recycling. As part of our Quality First campaign, we have called on the supply chain to design packaging that is reusable or recyclable and we are pleased that these large manufacturers and retailers have signed up to do that by 2025. “It is good to see efforts to tackle single-use plastics and that the waste hierarchy has been taken into consideration to encourage reuse and recycling. In particular, a requirement for an average of 30% recycled content in all plastic packaging will help to ensure markets for recyclable plastics are sustainable.